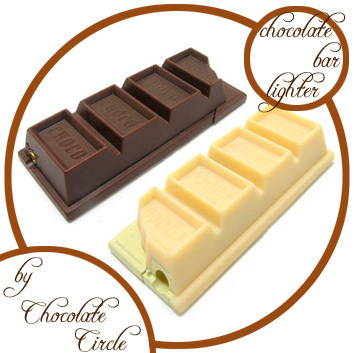 • Light your candles, barbecue stoves, cigarettes and cigars with one of these unique Chocolate Bar Lighters! • Light-weighted and slim; suitable for you to carry around in your bags and even pockets! 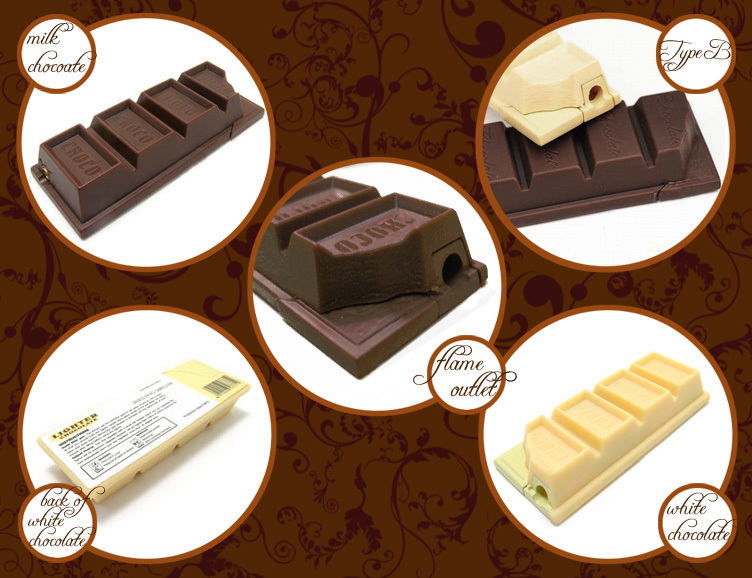 • Each Lighter is a vivid-looking miniature bar of chocolate! 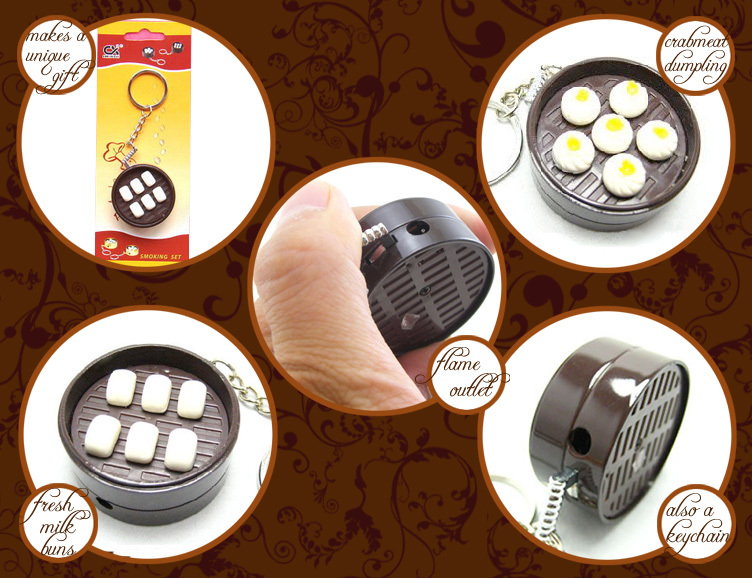 A great gift for all chocolate lovers and miniature food collectors! White Chocolate (White Chocolate) Sold Out! US$6.45 including shipping. Leave us a comment or ask a question below. 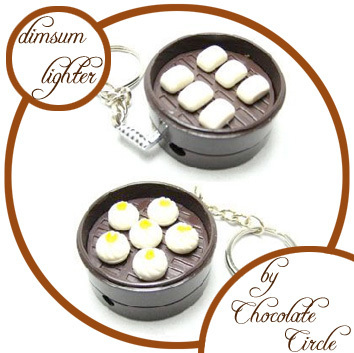 • Light your candles, barbecue stoves, cigarettes and cigars with one of these unique Chinese Dim-sum Lighters! • Each Lighter is a miniature Chinese dim-sum dish! A great gift for all dimsum lovers and miniature food collectors! 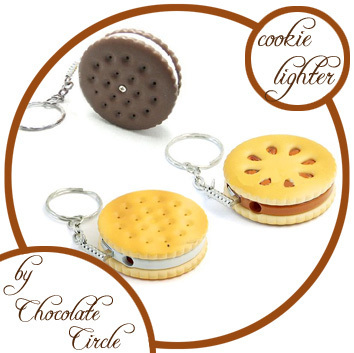 • Also a keyring to keep keys together or as a decoration for the zippers of your bags! 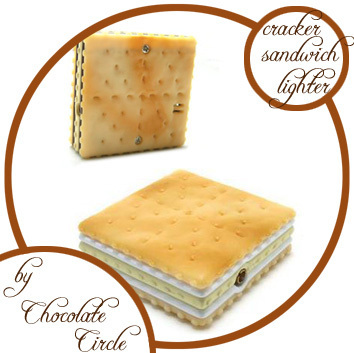 • Light your candles, barbecue stoves, cigarettes and cigars with this unique Cracker Sandwich Lighter! 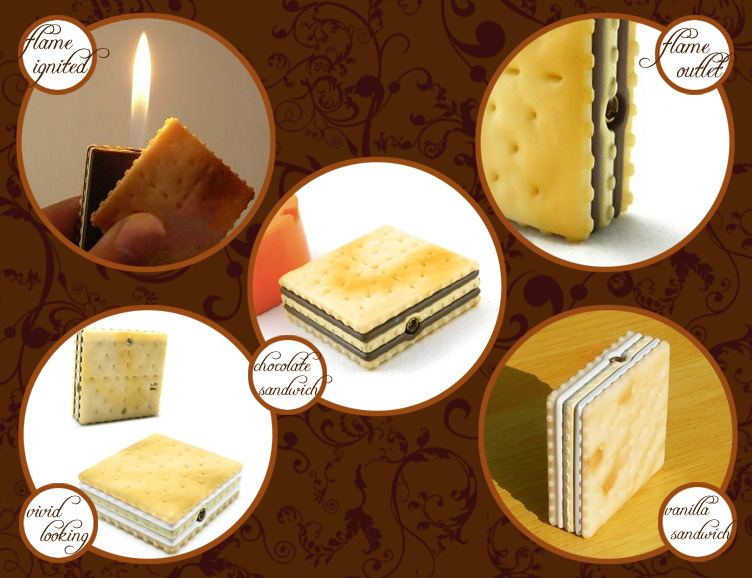 • Each Lighter looks amazing like a real triple-layer cracker sandwich with 2 layers of chocolate or vanilla paste in between! Keep away from children or hungry humans! 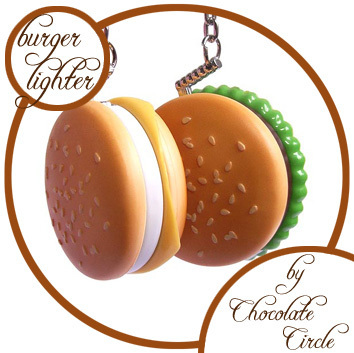 • Light your candles, barbeque stoves, cigarettes and cigars with this unique Burger Lighter! 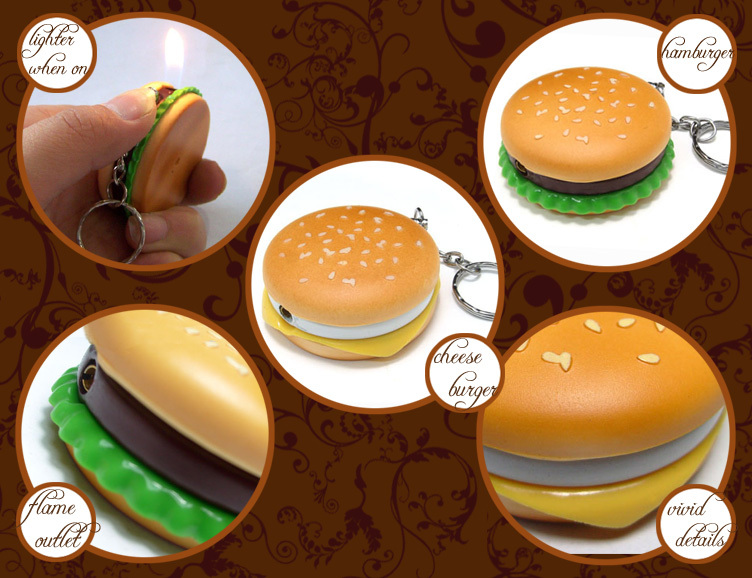 • Each Lighter is a scrumptious-looking burger! Keep away from children or hungry humans! 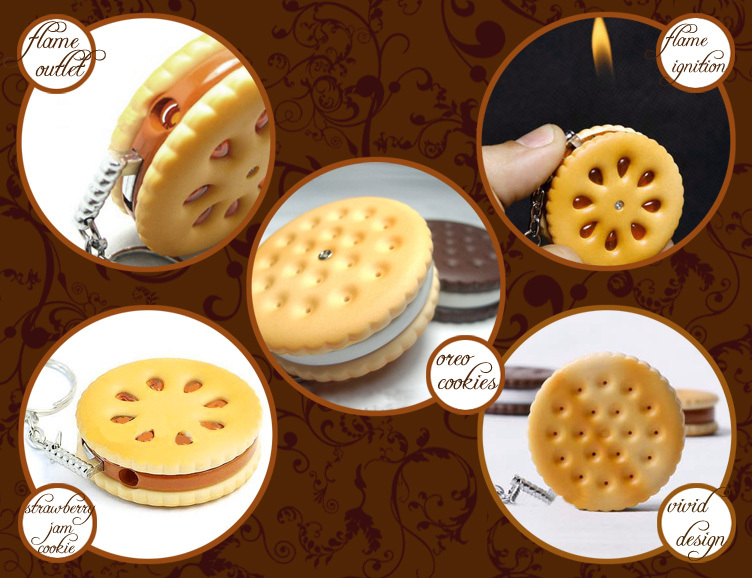 • Light your candles, barbecue stoves, cigarettes and cigars with this unique Cookie Lighter! 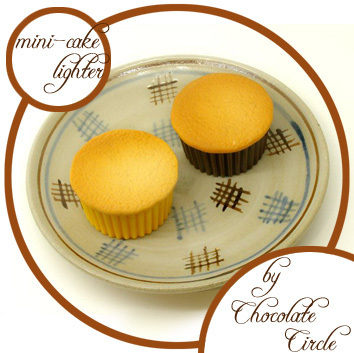 • On both sides of each Lighter are vivid patterns to imitate a real cookie! Keep away from children or hungry humans! • Light your candles, barbecue stoves, cigarettes and cigars with this unique Mini Cake Lighter! 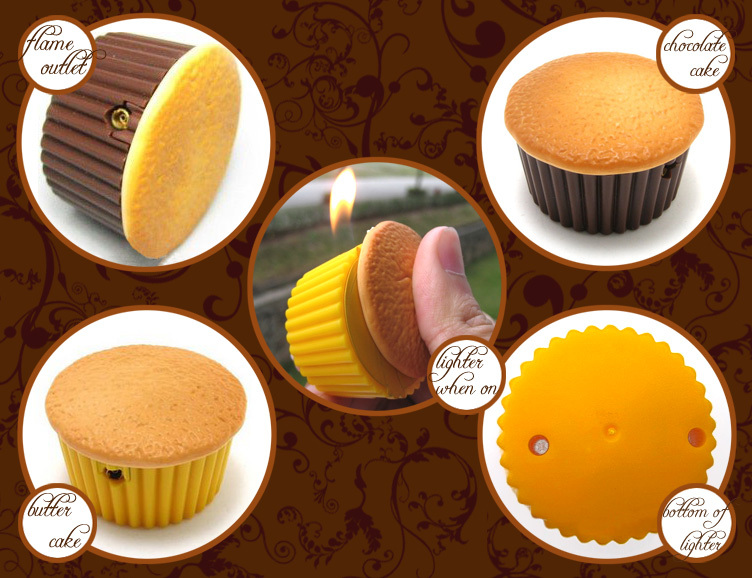 • Each Lighter looks amazing like a real mini cake! Keep away from children or hungry humans!